Who doesn’t enjoy a delicious frozen scoop of ice cream?! 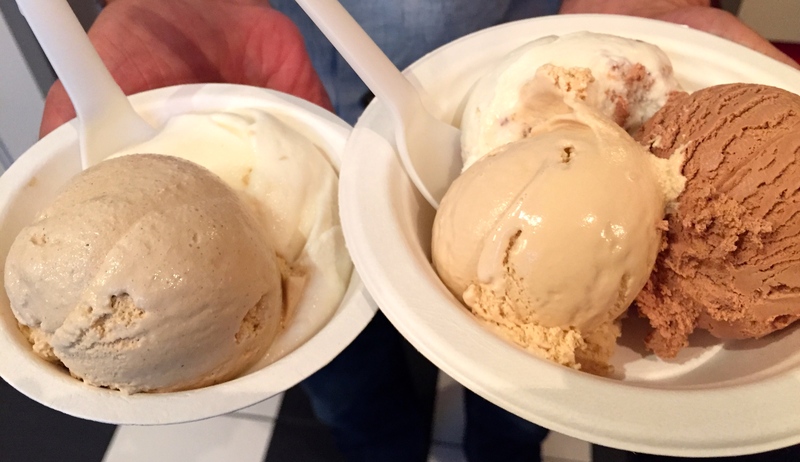 One of San Francisco’s most popular ice cream shops is Humphry Slocombe in the Mission District serving some awesome unusual flavors. Humphry Slocombe offers unique flavors that are always changing. Some of their best sellers include Blue Bottle Vietnamese coffee, brown butter, secret breakfast, and Tahitian vanilla, just to name a few. Left: Secret Breakfast and Blue Bottle Vietnamese Coffee. Right: Malted Milk Chocolate, Roasted White Chocolate Lavender, and Secret Breakfast. 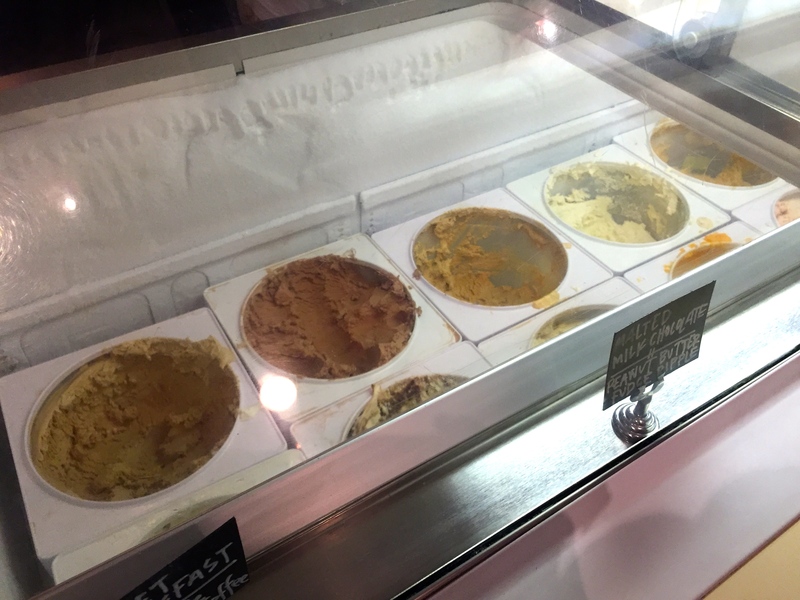 One of their signature flavors is the secret breakfast, a luscious ice cream flavored with condensed milk, vanilla, bourbon, and cornflakes. A must try. The Blue Bottle Vietnamese coffee was also a winner since they use high quality coffee beans from Blue Bottle and sweetened condensed milk for a rich creamy result. Both the malted milk chocolate and roasted white chocolate lavender were awesome as well. 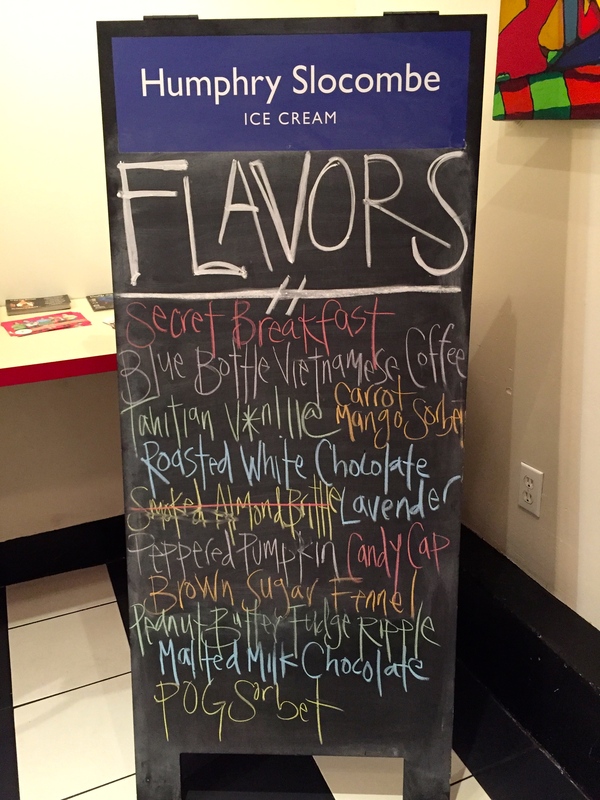 Humphry Slocombe is definitely worth trying for some interesting and delectable frozen delights.